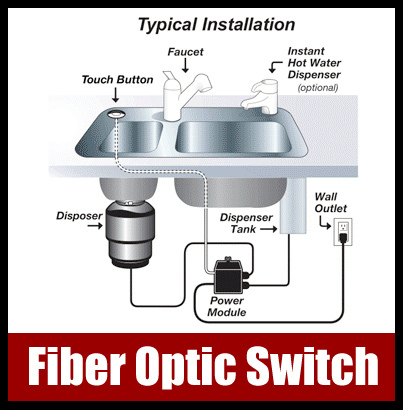 Fiber Optics - Used for everything including the kitchen sink! FOA Online Fiber Optic Reference Guide It keeps expanding- now available in book form - and with "Google Custom Search"
Q&A: Some very good questions this month on free-space optical, testing GI-POF, when test equipment or fusion splicers should be replaced, estimating fiber optic installations and designing/building GPON FTTH systems. Dr. Charles Kao has received the 2009 Nobel Prize for physics for his pioneering work in fiber optics at Standard Telecommunication Laboratories, the research arm of a British telephone company, co-winner along with Willard S. Boyle and George E. Smith of Bell Labs who developed the CCD (charge coupled device) which made digital photography possible. It's an unusual combination because most people think that physics is so esoteric that it has little relevance to people in general, but these three can be credited with technological developments that have made telecom, the Internet , video and still photography inexpensive and widely available. "Taken together, these inventions may have had a greater impact on humanity than any others in the last half-century," said H. Frederick Dylla, director of the American Institute of Physics. Read the Nobel Committee announcement at http://nobelprize.org/nobel_prizes/physics/laureates/2009/press.html and their description of the work at http://nobelprize.org/nobel_prizes/physics/laureates/2009/info.pdf. Here is their more technical description of the work: http://nobelprize.org/nobel_prizes/physics/laureates/2009/phyadv09.pdf. Dr. Kao is now a faculty member at the Chinese University of Hong Kong. Here is their announcement of his receiving the Prize: http://www.erg.cuhk.edu.hk/content.php?s=1&sub_id=&content_id=181&page=1&news_id=85. 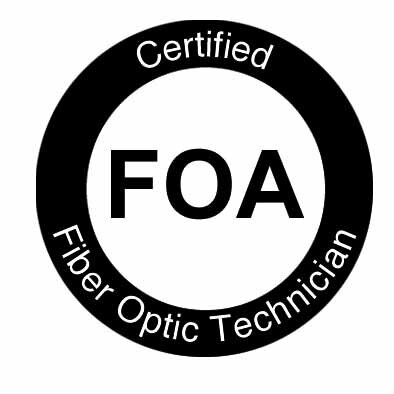 The honor awarded to Dr. Kao led to an internal discussion within the FOA regarding the many people we've known who were part of the development of fiber optics. Not all made big discoveries or invented famous things, but all contributed to the development of our industry. Some were involved with fiber, some with cables, connectors, splices, hardware, communications equipment, some developed new applications, but all contributed to our industry. A new "active optical cable" designed to provide ultrafast connections between electronic devices, essentially a much faster replacement for USB cables, is being promoted by Intel (MIT Technology Review). Aimed at connecting PCs to peripherals like hard drives that need faster data rates, the Intel "Light Peak" links will be rated at 10 Gb/s. Light Peak links are also designed for handling simultaneous data streams unlike other links. Gizmodo reports that the "early 2010" launch of the links may be in Apple computers using links produced by Taiwanese Foci Fiber Optic Communication. Apple and Intel have cooperated before on PC links, namely USB, so it the rumor is true, your MAC may soon be "lighter." But when we hear fiber is "faster" than copper, we interpret that to mean that if we have a billion bits of information to transmit, fiber can transmit all of them faster than copper, say at 40-100 GB/s over 12,000 km (and maybe 160 channels at different wavelengths on the same fiber as was recently done over an installed submarine cable.). Let's see, how many copper pairs and how many repeaters and how many megawatts of power would it take to equal that? And what the press release said was fiber transmits bits faster than copper, which is really bandwidth-related, not velocity related. In the past, when America was a rural/agrarian community, neighbors would cooperate to build new barns for those who needed them. While any individual family might not be able to build (or afford to have built) a barn themselves, a community could gather for a few days and make it happen. 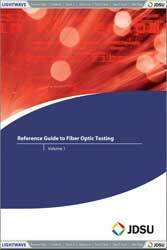 The FOA Reference Guide To Fiber Optics and The FOA Online Fiber Optic Reference Guide will be the official reference for the 2010 CFOT exams. Q: We are connecting two buildings which are about 15 KM apart.We cannot lay fiber cable under ground due to government regulations. On microwave we can only get 100Mbps. I am pondering the use of optical over the air. Kindly advise if this would be appropriate for this link. A: Typically, line of sight optical systems are limited to about 2 km distance but can be repeated for longer distances. They are susceptible to interruption by fog, rain, even birds flying through the line of sight, so may not be appropriate for your application. A: The specs are at 850 and 1300 nm and the core diameter is same as OM1 so a regular test kit is appropriate. They talk about ease of connection but not what losses to expect, so either a regular TIA FOTP-171 or OFSTP-14 can be used. Q: Are you aware of any "white" paper on shelf life and replacement cycle for FO test and measurement equipment like OTDRs and Fusion splicers ? This is to get some idea on how often we should budget to replacement them, basedon typical usage for a 100 mile fiber plant. A: Generally test equipment is recalibrated regularly and as long as it continues to provide reliable measurements, it continues to be used. We used to build test equipment and we had a customer who had been using one of our testers for over 20 years! I know a cable company that still uses a 20+ year old Tektronix OF150 OTDR from the mid-1980s in their labs. I'd say the only reason test equipment is replaced is either when it's damaged or needs repair and the cost approaches the cost of new equipment or when new technology makes the new equipment better. For fusion splicers, they need regular maintenance, replacing electrodes and cleaning. 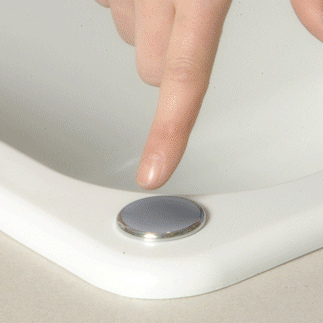 Newer units are more automated and maybe more consistent, but lots of older units are being used daily. Q: I was wondering if you knew of anywhere or any site for a guide to building a GPON network from the ground up in a county? Q: How deep under water can a fibre optic cable go? In other words how much pressure can a fibre optic cable stand before failing? Can it go down 200m? A: It all depends on the cable. You can get cable that will go thousands of meters deep. It looks like wire rope and has fibers inside a laser-welded stainless tube. Not only is it used for undersea communications, it's used for tethered vehicles for undersea exploration FOA NL 06/06. 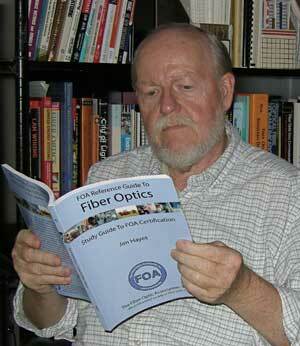 Q: I am interested in finding an optical fiber that illuminates along its length. A:It's called "edge-emitting fiber" and is shown in the FOA tutorial on lighting. http://www.thefoa.org/tech/lighting/lighting.html. 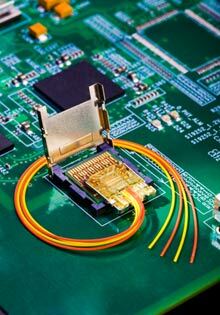 OM4 Fiber: The Next Generation of Multimode Fiber, sponsored by TIA Fiber Optic LAN Section. While 40- and 100-Gbit/sec speeds are still in the future for many companies, there are compelling reasons to consider installing this type of fiber today. Register here. What Do 5 Million Windows Computers Have in Common? They are "zombies" under the control of the Conficker virus. The sheer number of affected computers makes them probablt the greatest computing power on the planet, yet no one knows what the purpose of this entity really is. Conficker authors had begun distributing software that tricks Internet users into buying fake antivirus software with their credit cards. If you use a Windows computer, read this fron the NYTimes. My company - Telco Direct Services Inc. Is currently under contract in Vancouver and the lower mainland and I require fiber splicers for approx 3 months possibly longer term. 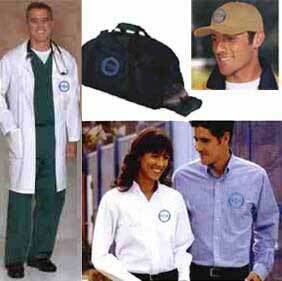 Rate of pay will be $40-50 depending on experience.